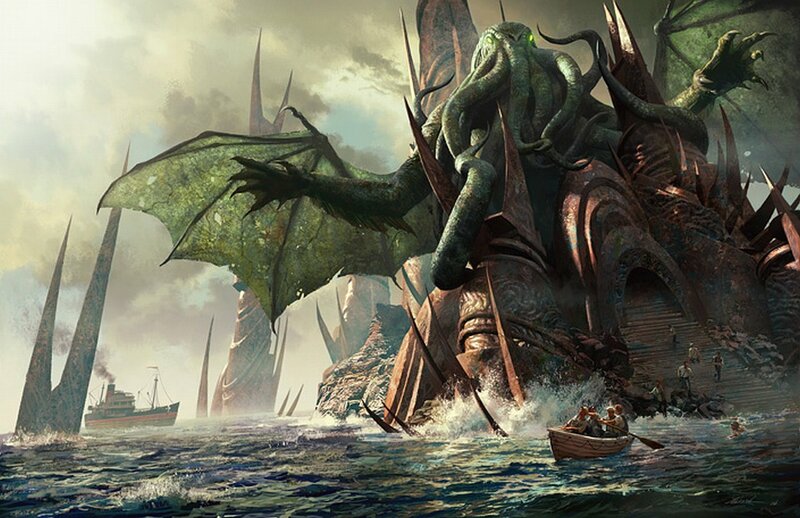 Seven Masters (part three): is Cthulhu one of the seven masters? Continuing on in our meandering diversion from a conversation about the Shinshu Seven Masters, this episode starts right where we left off last time in a conversation about the promises and pitfalls of “one Buddhism” or a universal religion. The underlying issue here has to do with problems of difference or “otherness,” something that we somehow manage to relate both to post-colonial theory and Mahayana philosophy. (No. Really.) In post-colonial theory we find the urge to both deify and demonize the other (which has particular implications for Buddhism’s transmission to the West); and in Mahayana we find a tension in the perennial debate between the complete otherness of nirvana from samsara versus the form-is-emptiness stance of the simultaneity of nirvana and samsara. And believe it or not, all of this actually brings us back to Genshin — one of the Seven Masters of Shin Buddhism! But don’t worry, we don’t linger there too long; we’re still pretty caught up on Cthulhu and Aliens . Speaking on Aliens , don’t forget to check out our website for more information on our upcoming live recording in April. Thanks for another good talk!